The Halsey Institute celebrates its 30th Anniversary with The Insistent Image: Recurrent Motifs in the Art of Shepard Fairey and Jasper Johns. This exhibition pairs new work by Shepard Fairey and a survey of prints from 1982 to 2012 by Jasper Johns at Universal Limited Art Editions. The exhibition is curated by Mark Sloan, senior curator and director of the Halsey Institute. The opening reception on Thursday, May 22, 6-8PM will be open to the public and guests will enjoy complimentary refreshments and light hors d’oeuvres, provided by Whole Foods Market, Sapporo, and Icebox. 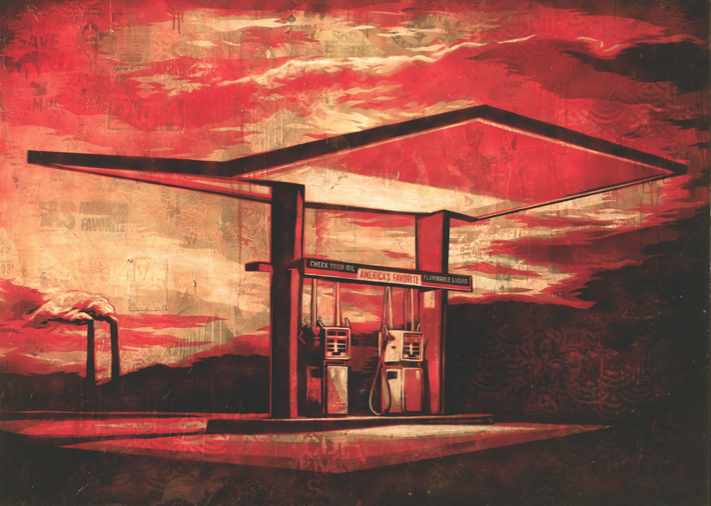 The Insistent Image: Recurrent Motifs in the Art of Shepard Fairey and Jasper Johns will be on display at the Halsey Institute from May 22 – July 12, 2014.